Smith College offers graduate work leading to the degrees of master of arts, master of arts in teaching, master of fine arts, master of education, master of education of the deaf, master of science in exercise and sport studies and master of Social Work. 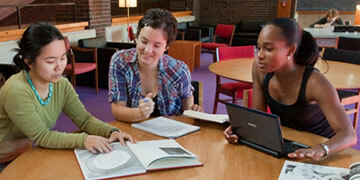 Each student is required to archive his or her thesis in Smith ScholarWorks for access and preservation. Please note that access to some theses is restricted for a period of time as requested by the author. For example, a thesis may be submitted in May 2015, but not open access until May 2020.